Remarkable images of 'Painted Mountains' and other prominent features in British Columbia's oldest provincial park. It's all here to explore! More news, updates and photos on our Facebook page... check it out! 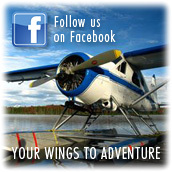 Tweedsmuir Air Services is providing hotlinks to web sites that will be useful for planning your West Chilcotin backcountry adventures or just getting to know Tweedsmuir Park in British Columbia, Canada. Want to link to our site? Us to you? Please send us an email!